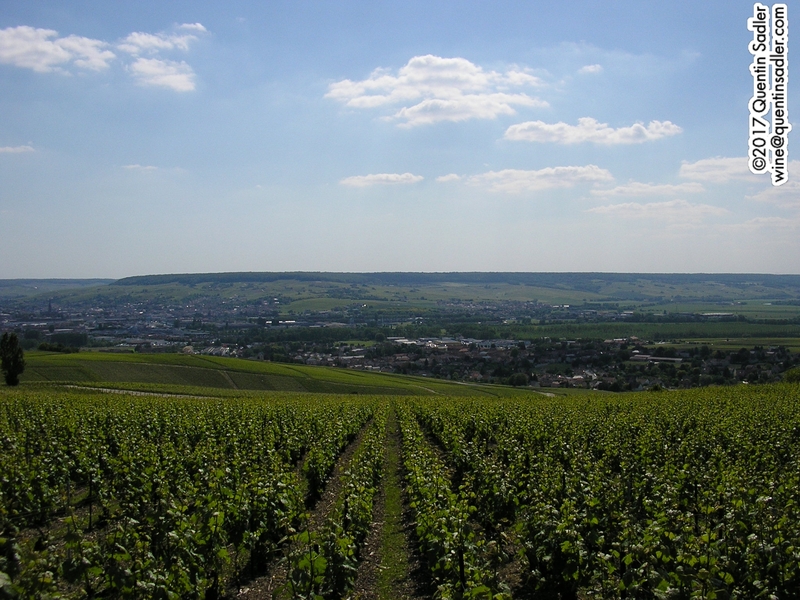 Vineyards around Dizy in Champagne. Recently I have led a few Champagne tastings, well it is Christmas. I showed a wide range of Champagnes each time and they were very well received. What fascinated me was how many questions were asked and the lengthy discussions that grew out of the tastings. In my experience that level of enquiry is relatively rare at wine tastings and I loved it. What became apparent to me – even more so that I had expected – was how misunderstood, or rather how pigeonholed Champagne is. To most people who came to the tastings Champagne was just one thing, posh sparkling wine for special occasions. Very few of the tasters, before they came anyway, saw Champagne as a wine and very few understood, again before the tasting, just what variety there is in Champagne. It is that variety that makes Champagne so fascinating and that I sought to illustrate in these tastings. The truth is that Champagne is much more than just a sparkling wine to be drunk at special parties. Sure there are plenty of Champagnes that make a good aperitif – and therefore toast – wine, but there are others that partner pretty much every type of food too. There is a whole world of Champagne out there with styles to suit every mood and occasion. Firstly Champagne is defined by the climate of the region. The Champagne region is east of Paris, and some of it slightly north too, so it is not blessed with the best conditions to make wine. 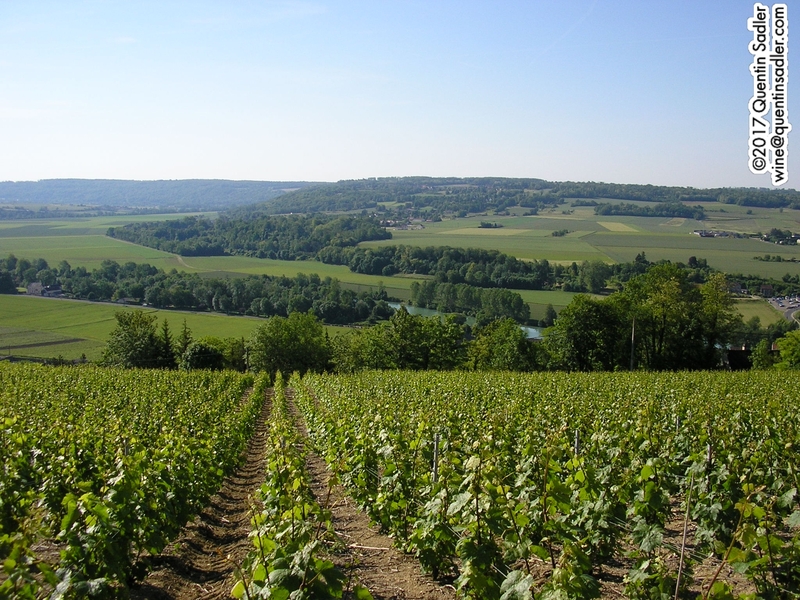 The climate is grudging – about as far north as it is possible to grow grapes – and if it was not for the hills of the Montagne de Reims, Vallée de la Marne, Côte des Blancs Côtes des Sezanne and the Côtes des Bar then Champagne would not really be a wine region at all. Just as in nearby Chablis, these slopes allow the grapes grown on them to catch much more sun than if they were grown on flat land. This makes ripening the grapes possible which is why Champagne became a place that made wine at all. Therefore, although there are different levels of ripeness in the wines of Champagne, it is all relative. This cool climate region is a place to make delicate white wines, not bold reds – unless global warming really gets going anyway. The second thing to define Champagne is the chalky soil. This chalk is the second factor that makes it possible to grow grapes and make good wine here. It is very well drained and so negates the bad effects of the rain that can happen pretty much all through the growing cycle. The chalky soil ensures that rain just runs away, leaving the grapes concentrated and healthy. Perversly though this fossil rich chalk, rich in lime and calcite, also retains moisture – a bit like a sponge – and releases it when conditions are dry. It also stays at a constant temperature all year round – pretty crucial in a cool place as it gives the warming up of the season a quick start and helps ripening. The chalk itself is ancient sea-bed and full of fossils and that also helps in the development of complex flavours in the wines. Whether or not it imparts the minerality that can be found in many good Champagnes is open to question – see my article here for more on minerality. 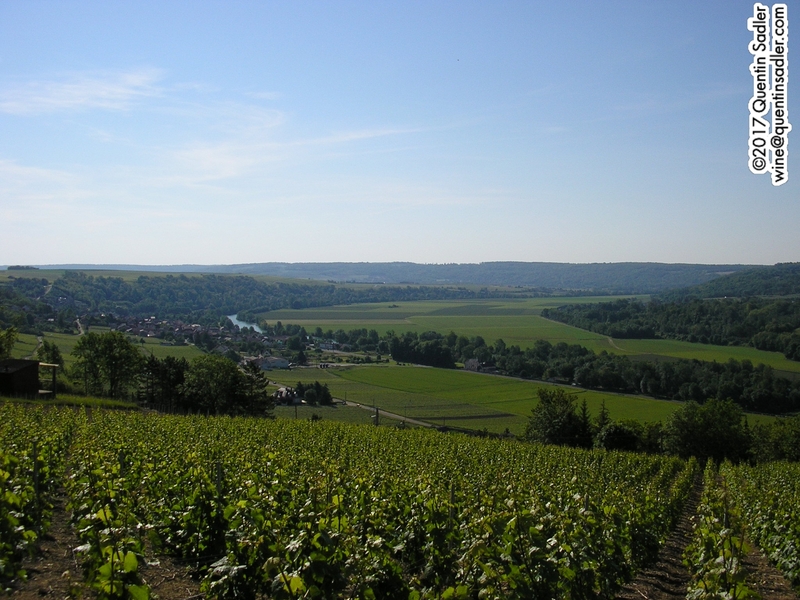 Vineyards in the Valley of the Marne. Because of the lack of heat and sunshine, the Champenois (Champagne producers) have, over the centuries, developed a way of making the best use of the weather that they do get. Most Champagne is sold as Non Vintage – or NV on a wine list – (Multi Vintage in the US) – with no year on the label – and is made by blending wine from different harvests together. This allows the producer, or house, to always blend the wine to be pretty much the same year in year out. To do this they have to keep back stocks of older base wines to give them the blending options that they need. By and large Champagne can be made from just three different grape varieties, Chardonnay, Pinot Noir and Pinot Meunier – so just one white grape and 2 black grapes. Remember that white wine, which is what most Champagne is, can be made from any colour grapes as you only ferment the juice after pressing and leave the skins out. The colour of a red wine comes solely from the skins. Therefore a good bit of the different styles comes about because of the blend of grape varies used or sometimes which single grape is used. The great majority of Champagnes are a blend of all three grapes, in differing proportions, while those made purely from Chardonnay can be called Blanc de Blancs and those made from either or both of the two Pinots can be labelled as Blanc de Noirs. Generally speaking a Blanc de Blancs will feel brighter, lighter and fresher than Blanc de Noirs Champagnes. There are always exceptions in wine and there was a much bigger list of grape varieties grown in the past and although the modern rules forbids the planting of anything other than Chardonnay, Pinot Noir and Pinot Meunier, you can still use them if you have them – it seems that you can even replant them too. 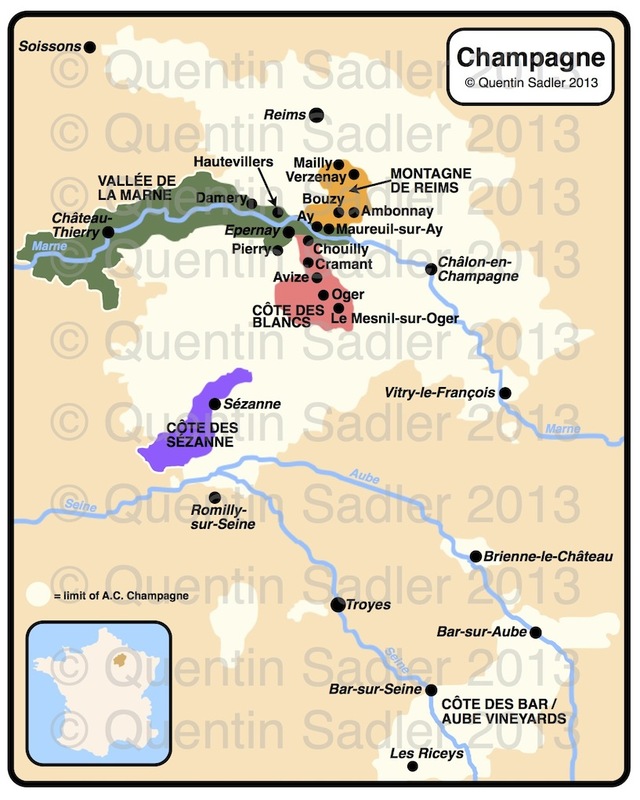 Up until the First World War Pinot Blanc, Fromenteau / Pinot Gris, Arbane, Petit Meslier, Gamay, Chasselas, Savagnin Blanc, Sacy (also known as Tressallier), Troyen and Morillon were found quite widely in the region. Nowadays they are pretty rare, but it is still possible to taste Champagnes made from some of these old grapes if you are prepared to work at it – and pay for them. Champagne Fleury produce a pure Pinot Blanc – click here, as do Chassenay d’Arce, while Pierre Gerbais’ L’Originale is made from a parcel of Pinot Blanc vines planted in 1904 – click here. Champagne Moutard make a pure out of Arbane as well as the Cuvée 6 Cépages made from equal proportions of Chardonnay, Pinot Noir, Pinot Meunier, Arbane, Pinot Blanc and Petit Meslier. Duval Leroy make a Champagne from pure Petit Meslier. Champagne Aubry produce three different Cuvées (blends) using these ancient grape varieties, while Champagne Drappier‘s Quattuor is made from equal parts of Arbane, Petit Meslier, Pinot Blanc and Chardonnay. Oak barrels at Champagne Alfred Gratien in Epernay. Gratien are very traditional and one of the few houses to barrel ferment the majority of their base wines. Photo courtesy of Champagne Alfred Gratien. The base wine for some Champagnes, the still wine that is later made fizzy, are aged or fermented in oak barrels before they are made sparkling, which will make them richer and more complex still. Champagnes made this way seem to be bolder and more obviously savoury, so making them less suitable for frivolous drinking and more suitable for drinking with food. It isn’t only the grapes that determine the flavours and the differences between the different Champagnes though. Length of ageing is very important. 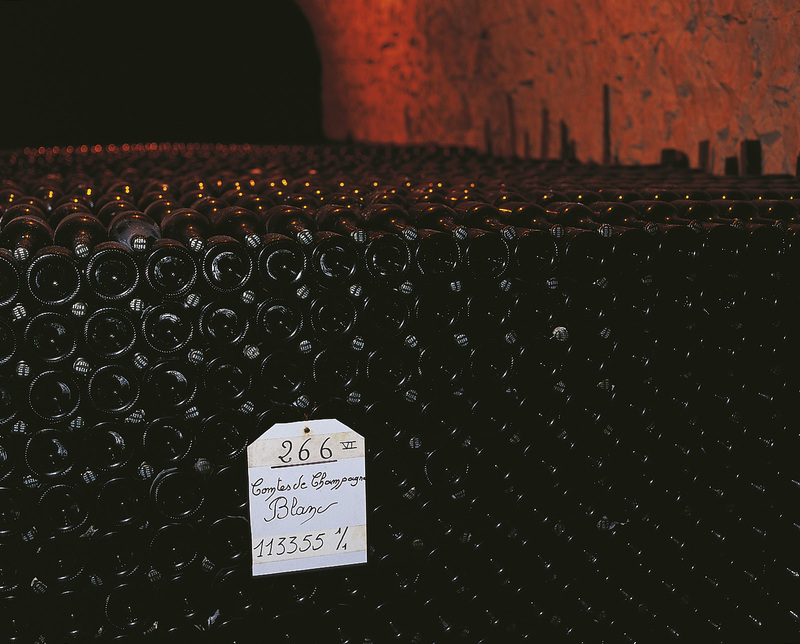 Any Non Vintage Champagne has to be aged on the lees – the dead yeast cells left over from the second fermentation in the bottle – for at least 15 months. Most good houses age them a fair bit longer than that though, perhaps for three years or so. 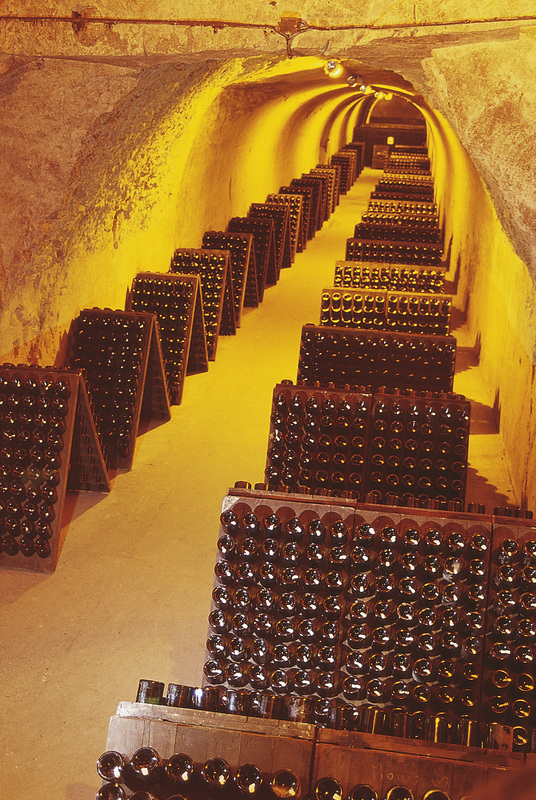 Taittinger’s Comte de Champagne Blanc de Blancs undergoing long ageing in Taittinger’s chalk cellars below Reims. Photo courtesy of Champagne Taittinger. Vintage Champagne is the product of a single exceptional harvest – Non Vintage is made from fruit from more than one harvest – so Vintage Champagne will be richer and fruitier than Non Vintage. In addition Vintage Champagne must be aged at least 36 months on the lees before release, so will be more complex too. The longer you age a Champagne on the lees, the more the rich biscuit, brioche, flaky pastry and nutty characters develop. We call this ageing yeast autolysis. The sweetness also has an effect on how the wine tastes. The drier it is the more you will notice the acidity and Champagne being so far north, where there isn’t so much sun to ripen the fruit, has a good deal of acidity to make your mouth water. If acidity is not your thing, I love it because it is so refreshing, then there are options available to you, a sweeter Champagne. Most Champagnes are Brut, which is very much on the dry side. Brut Champagne contains 0 – 12 grams per litre of sugar, equivalent to half a teaspoon or so per glass. In practice the posher Champagnes like Taittinger are usually about 8 – 12 grams and the cheaper and own label ones usually have that little bit more sugar. Extra Brut is a bit drier than Brut, whereas rather confusingly Extra Dry or Extra Sec is less dry! Sec Champagne is less dry again and contains 17 – 32 grams per litre of sugar, equivalent to a teaspoon or so per glass. Before the First World War most Champagne was pretty sweet, but nowadays these wines are pretty rare. I am sure there are others, but Taittinger’s superb Nocturne Sec is the only one widely available in the UK and at 17.5 grams per litre of sugar it contains the bare minimum amount of sugar to be Sec, so is not actually sweet at all. I loved showing a range of different Champagnes at these tastings and seeing how interesting the tasters found them. They just were not expecting to experience so many different flavours and styles. Here are some of the Champagnes that I have shown in my recent tastings, these all found particular favour with the crowds on the night, sometimes for very different reasons. This is how most people imagine Champagne and indeed the style of Champagne that most of us drink most of the time. They are perfect to drink on their own, for the toast or the aperitif or to serve with light nibbles like cheese straws, fresh light cheeses, fish and chips and Asian cuisine. I know nothing about Philizot, but they appear to be a genuine Champagne house rather than a dreamed up brand name. They must be quite big, even though very few of us have ever heard of them, because they have to be selling a great deal of this. The blend is one third each of Chardonnay, Pinot Noir and Pinot Meunier. This is genuinely a nice bottle of Champagne, fresh, lively and very appley with a soft mousse and palate. Not the most complex, but very decent and well made with nice acidity and some of the elegance and purity that generally sets Champagne apart from other sparkling wines. How they do this at the price I really do not know, but I am glad they do – 87/100 points. Available in the UK @ £10.99 per bottle from Aldi. I know next nothing about this Champagne house except that it used to be based in Aÿ and has history dating back to 1875. Since 2012 it has been part of the mighty Vranken-Pommery group and continues to make good wines that deliver excellent value for money too. It looks good in its fancy shaped bottle and it tastes pretty good too. It might not be quite as dry as other Champagnes, but that makes it soft and very drinkable indeed – and it is still dry. There is a little more richness here too, from longer ageing than the Verve Montigny I assume. I liked this and so did my tasters – 88/100 points. Available in the UK @ £17.99 per bottle from Lidl. Oudinot is a pretty prestigious house with history going back to the dawn of the nineteenth century when Jules Edouard Oudinot started making Champagne from his vineyard in Avize in the Côtes des Blancs south of Epernay. Today it is part of the great Laurent-Perrier and they make this label for Marks & Spencer. Again the blend uses all three typical grapes, but I am unaware of the blend. This is very Epernay in style, very apply, very citrus. In short it is light, fresh and refreshing. Thoroughly enjoyable and that light touch of crushed digestive biscuit gives it enough interest and richness. A perfectly decent Champagne – 87/100 points. Available in the UK @ £34.00 per bottle from Marks & Spencer – make sure to buy it when on offer which comes around about twice a year, 50% off and another 25% off when you buy 2 cases of 6 bottles. I have always been a fan of H Blin. Based in Vincelles some 20 km west of Epernay they have farmed grapes for generations, but only started making their own Champagnes after World War II. Being based in the Valley of the Marne they champion the somewhat unloved Pinot Meunier, even to the extent of making an excellent still red from it under the Coteaux Champenois appellation. The nose is of toasted brioche and cooked lemon, while the palate gives zesty green apples, a touch of red apple, some light nuts and even a touch of caramel from the ageing development. A very tasty, but also refined and elegant Champagne – 90/100 points. Available in the UK @ £28.00 per bottle from Oddbins. Taittinger is a rare beast for a Champagne house, in being owned and managed by the family whose name is on the label. This is no mean feat in the modern world when Champagne is often seen as a luxury brand product rather than a wine as such. As far as I am aware Bollinger is the only other world famous Champagne house to remain a family company. It must focus the mind somewhat having your name on every bottle and being ultimately responsible for the quality and style of wine that your family produces and under the management of Pierre-Emmanuel Taittinger I think the wines have evolved and the quality has really shone. This is the standard wine from the house and I always enjoy it. 40% Chardonnay dominates the wine together with 35% Pinot Noir, 25% Pinot Meunier blended from vineyards across the region and then aged 3 years on the lees. I always think this wine is deceptively straightforward and sinfully drinkable. Indeed it is a wine that you can focus attention on and savour its subtle charms, or just enjoy it and let those charms wash over you – 91/100 points. Widely available in the UK @ around £37.00 per bottle – Majestic reduce that to £27.73 when you mix 6 bottles of anything. Asda’s price is £27. This small, family run Champagne house has always attracted me. They winemaker is fourth generation Olivier Bonville whose grandfather Franck started it all just after World War I. Altogether they farm just 20 hectares in the Grand Cru Côtes des Blancs villages of Avize, Over and Le Mesnil. This wine blends 70% of Avise fruit with 30% from Oger and it is aged for 30 months on the lees. The nose gives a lovely touch of ozone or rock pools – which I find fairy typical of lean Chardonnay. The palate has plenty of orchard fruit too, apples and white peach. There is a lovely, playful tension in this wine between the almost creamy richness of the Chardonnay and the freshness and acidity of the style. The result is wine that gives softness and generosity together with that purity, almost salty quality that a fine dry white can have. An excellent and complex aperitif wine – 91/100 points. Available in the UK @ £35.00 per bottle from Premiers Grands Crus and Cadman Fine Wines. Champagne Legras & Haas is a Champagne domaine founded as recently as 1991. Before he created his own estate in 1991, together with his wife Brigitte – whose maiden name was Haas, François Legras was the winemaker at R & L Legras as his forebears had been since the sixteenth century. It was his desire to be a true vigneron, a grower with a domaine that made him strike out on his own and today the house has 31 hectares mainly in the Grand Cru village of Chouilly. Today the house is run by François’s sons Rémi and Olivier Legras and I think the wines they produce are remarkably fine. Extra Brut has a dosage of less than 5 grams per litre, so the wine is allowed to dominate the style. There is no softness here, no fat, just precision and austerity. This means that the Champagne has to be perfect first time – like a water colour. They got it right, the wine has concentration, but is about minerality and tension. If you like Chablis you will enjoy this. It has that same nervy character and stony depth to it. The bubbles really are tiny and persistent and add some structure to the wine. Four years ageing on the lees has also added little flourishes of flakey pastry, but for me this is all about the minerality, finesse and elegant austerity – 93/100 points. Available in the UK @ £48.00 per bottle from Uvinum. The idea here is to make a soft Champagne that is drinkable after dinner and long into the night – or indeed any other time, I find it’s good at breakfast! People often assume that this will be sweet, but it isn’t at all. There is 17.5 grams per litre of residual sugar, but remember how high the acidity is in Champagne, well here the acidity and the sugar balance each other perfectly, so the wine finishes clean and balanced. It is soft, not sweet at all, the palate is creamy and there is a gentle nectarine quality to it and and an eating apple crunch. This might be perfect if acidity is not your thing, or if you want a Champagne that can withstand traces of something sweet on your palate. This also lived up to its name by remaining quite delicious throughout the tasting and even after all the others were finished – 90/100 points. Available in the UK @ around £47.00 per bottle from Asda and Waitrose Cellar. I love Rosé Champagne as it always feels so hedonistic and almost naughty. I think this is one of the best on the market. This is a real charmer of a wine, the colour is a deep wild salmon meets strawberry and the richness of red fruit makes the wine seem much less dry and acidic than it actually is. So if you like a softer style of Champagne then this could be for you, certainly the palate gives lots of red fruit, raspberry and even blood orange. If you age it for a few years the fruit mellows somewhat to a more rose petal quality making the wine quite different, but just as lovely – 91/100 points. Widely available in the UK @ around £50.00 per bottle – however the Asda Wine Shop price appears to be just £27! I am lucky, I like all styles of Champagne including the rich ones. These are often based on black grapes rather than Chardonnay, so gives more weight. They are also often aged longer and sometimes have some oak influence too. These Champagnes go very well with surprisingly rich food too, like foie gras, game and charcuterie. This little grower-producer is a new find for me and they are pretty good. Based in Bouzy they base their wines on Pinot Noir – and even make a still red wine and rosé too. This cuvée is two thirds Pinot Noir and one third Chardonnay from their own vineyards in Bouzy, Ambonnay and Louvois. The wine is aged for 4 years on the lees and has a low dosage of just 6 grams per litre, making it almost Extra Brut. In truth this Champagne is only slightly richer than those above, so could be enjoyed on its own, but there is a touch of something richer from all that Pinot and the longer ageing. There is a touch of red fruit here together with a deeper biscuity note. It is wonderfully focussed and pure though and very dry, but with the sensation of very ripe fruit, so there is plenty of tension in the wine – 92/100 points. Available in the UK @ £27.00 per bottle from Lea & Sandeman. 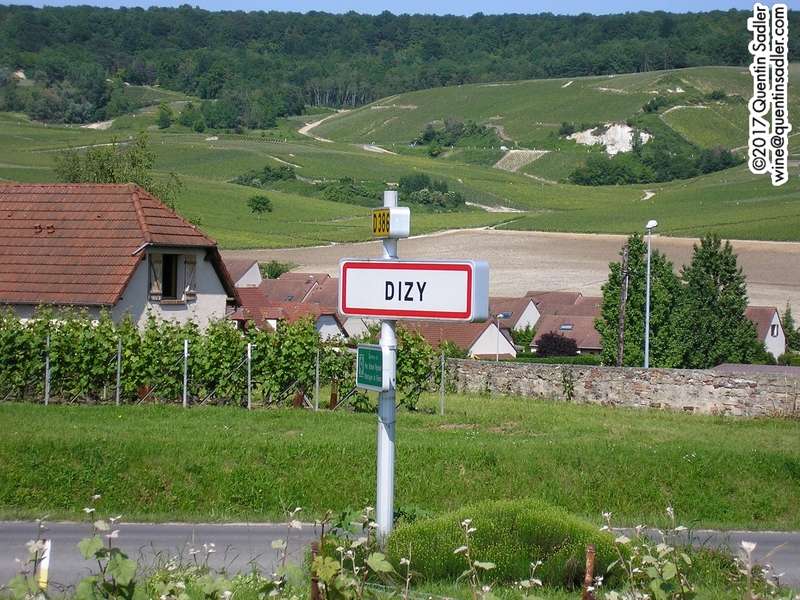 One of my two favourite Champagne village names. AR Lenoble was founded in 1920 and is still family owned by sister-and-brother team Anne and Antoine Malassagne, the great-grandchildren of founder Armand-Raphaël Graser from Alsace. He called his house Lenoble as it sounded more French than his somewhat Germanic name of Graser. AR Lenoble owns 18 hectares in three prime locations in Champagne. Chouilly, Bisseuil and Damery. All their Chardonnay comes from the Grand Cru village of Chouilly, their Pinot Noir comes the Premier Cru village of Bisseuil and their Pinot Meunier comes from their home village of Damery. 100% Pinot Noir with 35% fermented and aged in oak before the second fermentation and aged on the lees for 4 years. This is a powerful, heady and concentrated Champagne. The dosage is only 5%, so could be labelled as Extra Brut if they chose, however it is so full of flavour that it is far from austere and has a wonderful spicy cinnamon and vanilla note from the oak. A wonderfully intense Champagne with real richness that comes from the use of just black grapes, long ageing, barrel fermenting and ageing and the quality of the vintage – 93/100 pints. Available in the UK @ £47.00 per bottle from Plus de Bulles and Premiers Grands Crus. Also contact Ellis of Richmond who are the UK agents. What to do? You want vintage Champagne with all that richness and savoury brioche character, but cannot be doing with ageing some and anyway you want a slightly softer fruit character to give a touch of the frivolous, yet still keep it elegant and refined. You probably guessed it – you drink this. 50% Chardonnay grapes from the Côte des Blancs – including Avize and Le Mesnil sur Oger – blended with 50% Pinot Noir from the Montagne de Reims – including Mailly and Ambonnay. The finished wine is aged 5 years on the lees. Another glorious cuvée from Taittinger that manages to be intense and soft all at the same time. This makes it very appealing with rich fruit and similarly rich leesy characters and complexity. The mousse is markedly softer than on Taittinger’s vintage, yet firmer and more precise than on their Brut Réserve Non-Vintage. In truth this Champagne goes with everything and nothing, it is just splendid – 92/100 points. Widely available in the UK @ around £40 per bottle: John Lewis, Great Western Wine, Majestic, Champagne Direct. 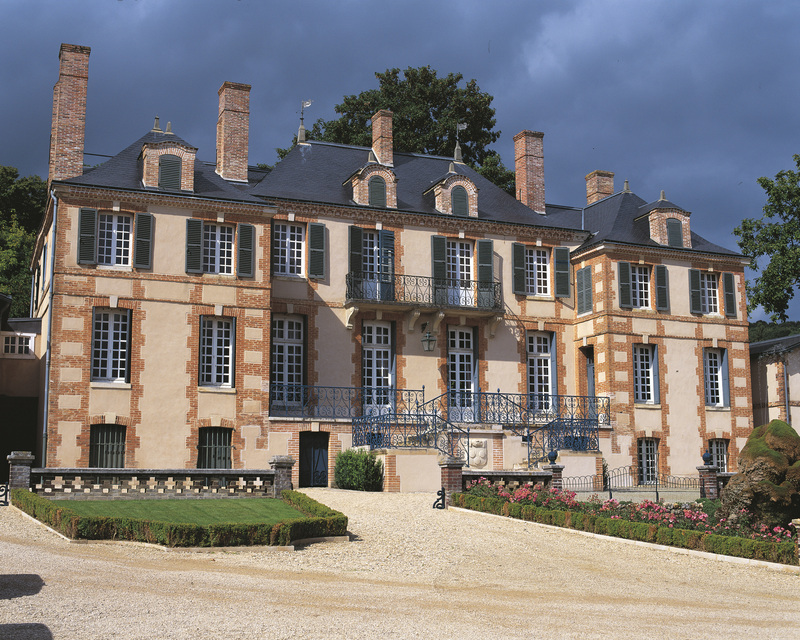 Taittinger’s beautiful Château de la Marquetterie. Photo courtesy of Champagne Taittinger. This is an exciting Champagne with richness and real savoury qualities. Again it is concentrated, but has bigger bolder characters and in some ways feels like a mature vintage Champagne. Personally I do not regard this as a Champagne to drink while standing and nibbling twiglets, for me this needs a meal – although feel free to serve it to me with nibbles – and would be perfect with a lovely piece of good quality fish – 92/100 points. Available in the UK @ around £50 per bottle from Waitrose Wine Cellar, Fareham Wine Cellar, The Drink Shop among others. A tiny Champagne house that was long part of Gratien and Meyer in the Loire. It was founded in 1864 and was for a long time run by the Seydoux family who were related to the Gratiens and also the Krugs. Nowadays it is owned by German sparkling wine giant Henkell & Söhnlein, but all they seem to have done is to pay for much needed repairs and vineyard purchases, the style and devotopn to tradition remains the same, as does the cellar master in fact. Alfred Gratien was the first Champagne house, indeed the first winery that I ever visited back in 1984 at the age of nineteen and I have been fond of what they do ever since. 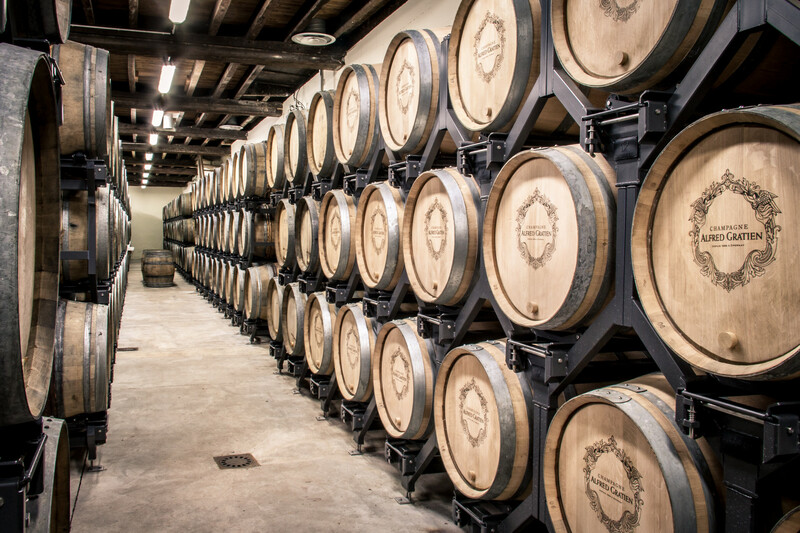 They ferment their base wines in oak barrels that they buy second hand – you don’t want too much oak – from the Chablisienne cooperative in Chablis. As a consequence their wines are rich and heady and brooding and very fine. This is two thirds Chardonnay with the rest equal parts of Pinot Noir and Pinot Meunier. The nose is nutty, citric and toasty with flecks of flint. The palate is broad and deep, yet with that lively purity that makes Champagne so wonderful. There is toasted brioche, smoke, peach and apple and citrus and a warmth and fullness that belies the zing of the acidity. That tension between those two makes it feel very fine and long in the mouth – 92/100 points. Available in the UK @ around £42 per bottle from The Wine Society. If you are ever feeling jaded and tired of life then this wine has a wonderfully restorative quality. The sensations here are of concentrated fruit as the vintage is only made in occasional exceptional years, however not only is the fruit more powerful, but the acidity is fresher and the weight is greater too, so this is a very intense wine. Red fruit notes and ripe peach vie with each other on your senses, while the savoury, nutty, brioche lees characters add more depth and the rich seam of acidity keeps it all fresh and elegant too. A glorious Champagne with a firm and steady mousse and a wonderful feeling of tension running through it giving it poise and elegance – 92/100 points. Available in the UK @ around £50 per bottle from Waitrose Wine Cellar, Amazon, The Drink Shop and Great Western Wine among others. Most major Champagne houses produce a Cuvée de Prestige using the very best fruit. These wines have care and attention lavished upon them and are aged longer than the normal cuvées and usually come in a fancy bottle that looks lovely and shows you that everything has been done by hand as these bottles do not fit the machines. I like Taittinger as a house and think that their Cuvée de Prestige is one of the very best on the market. It certainly wowed everyone I showed it to at the tasting. Taittinger’s Comte de Champagne Blanc de Blancs in the punters in the chalk cellars below Reims. Photo courtesy of Champagne Taittinger. One of the greats of Champagne, this cuvée de prestige is 100% Chardonnay from the Grand Cru villages of Avize, Le Mesnil sur Oger, Oger and Chouilly in the Côte des Blancs. 5% is aged in new oak barrels for 4 months to add complexity and richness and the finished wine is aged for at least 7 years on the lees before release. James Bond fans will know this was the favoured Champagne of Ian Fleming’s spy in the early books and I for one can see why – JFK seemed to enjoy it too. This is the most delicate. mineral and fine Chamapagne that I have ever tasted. It oozes finesse and breeding and subtlety, but has many more obvious charms too. I often think this is the most ‘wine-like’ Champagne that I know, it sort of seems like the finest Chablis you can imagine, but with a delicate and taut mousse – 95/100 points. This very fine stuff and makes a superb aperitif, but is even better served with light seafood dishes like oysters or scallops. It would even go with a light fishy (sea bass) or chicken main course. Available in the UK @ around £120 per bottle from Waitrose Wine Cellar, Majestic, Marks & Spencer and Ocado among others. Obviously this line up barely scratches the surface of the different styles of Champagne that is out there, but is shows how different they can be and made for some fascinating and thought provoking tastings. If you have only had a single view of what Champagne does, perhaps you might enjoy a little experimentation too, try some different examples and see what you think.